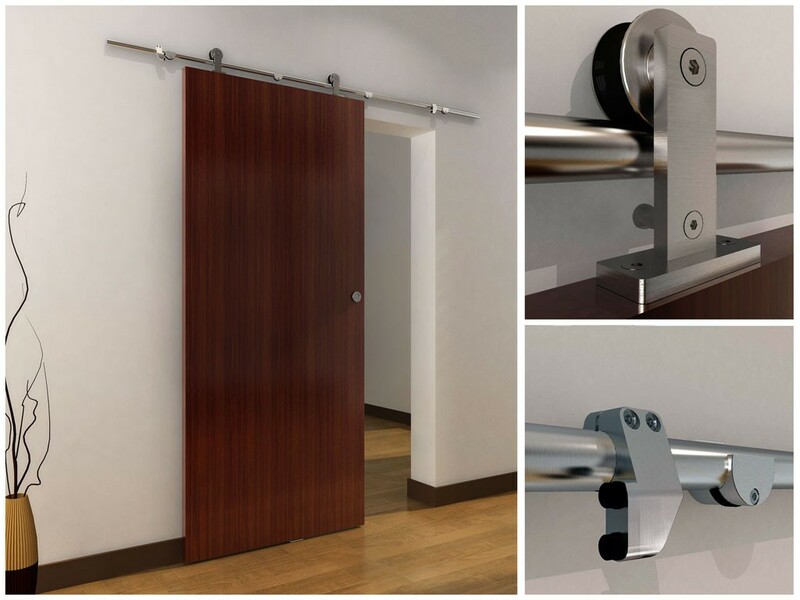 If you are looking for a mechanism that can give your house an elegant look then the Calusa Barn Door Hardware is the supportive choice to look for. You can get the barn doors with the hardware arranged by the professionals through them. If you decide to build a barn door then various barn door hinges are available to choose from them. The basic hinge is the strap hinge for the barn doors that is versatile too. Other cost effective hinges are the strap line and pinnel hinges. These are solid made of wrought iron thus satisfies the level of superior quality and the easy to install mechanism. Get the Interior Barn Door Track System along with the hardware which is useful in managing the space of your home. The track made them roll in upside and down position. It is made with flat steel bar. The track runs on the bearing that comes with the guaranteed lifelong greasing. It gives the track rigidity and strength. Instead of having the swing out motion gets the trendy move of the doors without making the creaking irritating noise. You can have the Sliding Interior Barn Door if you are willing to have a fantastic room décor as these doors gets mixed with the interiors as they are shut down. On opening you can get the amazing security with appealing look. The mechanism is very simple of the doors that is mounted with bolts and runs on the wheels. For having various other designs and professional service contact them.